The holidays are a magical time of year, but they can also prove to be stressful for us, as moms. Take a moment out of your day with a simple gesture that can let some of the special moms in your life know just how great they are doing. Last Christmas season, I was having a bit of a rough day, one of those days where the kids were not listening, my workload was crazy stressful, the laundry seemed to be multiplying every time I looked at it, crumbs sprinkled the countertops, and the upcoming Christmas season and all that accompanies it seemed to be constantly weighing on my mind. I grabbed the mail out of the mailbox and saw what appeared to be a Christmas card. I immediately thought how I still needed to order our cards, causing me to add one more thing to my to-do list that already seemed to be a mile long. What’s one more thing added to it, right?!? But then as I opened the card, my eyes filled with tears. Inside the envelope was a Christmas card, but not a typical family Christmas card that is adorned with a perfect family photo. 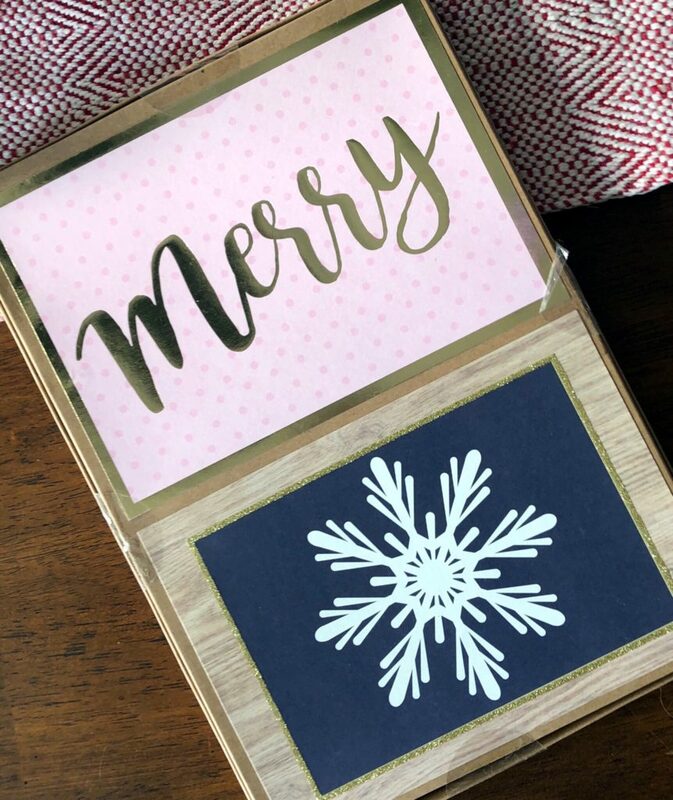 It was a handwritten vintage-looking Christmas card, with a special note inside from my husband’s cousin. 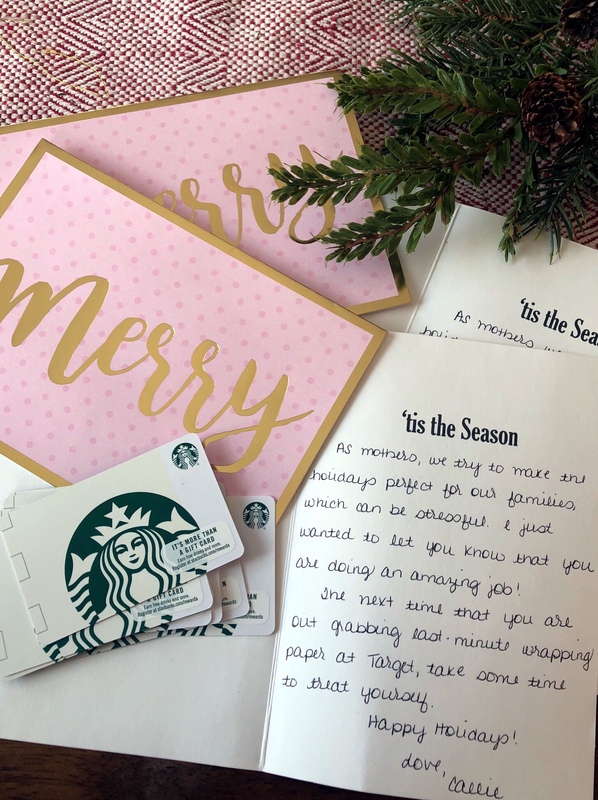 She took the time to send a note, along with a Starbucks gift card, saying that the Christmas season is a busy one, and one that we, as mothers, try our hardest to make special for our kids. She let me know I was doing a great job, and the next time I was out grabbing some last-minute wrapping paper at Target, to take the time to treat myself to something at Starbucks. The card could not have arrived on a more appropriate day. I was already feeling stressed, wondering how I was going to get the cookies baked that I wanted to, make the gingerbread houses that we always do, get the presents all wrapped, make grocery lists for holiday gatherings, clean the house … and the list went on and on. I teared up as I read the card that Janel had sent, realizing that all moms go through the same thoughts and stresses during the holidays, and that I really was doing a good job making the holidays special for my kids. 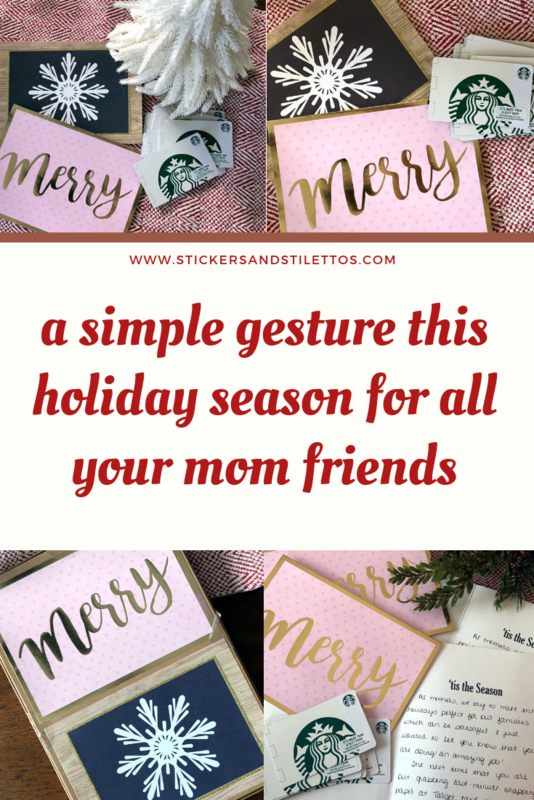 Sometimes we, especially as mothers, think we need to make the holidays perfect for our families, when in reality they are already perfect without us having to make them so. Our kids don’t care if the laundry is not put away, or if our annual family Christmas card ends up being a Facebook post with a family picture in front of the tree in our Christmas pjs. They would much rather spend the day playing in the snow, followed up with a cup of hot chocolate and marshmallows. And, no, I am not talking about homemade hot chocolate. I am talking about a packet of instant Swiss Miss, topped with a handful of mini marshmallows right out of the bag. After I received this special handwritten note, I sent Janel a message, thanking her and letting her know how much the card meant to me. I asked her if she minded if I, too, sent out a sweet handwritten note to some of my friends. Of course, she was thrilled with how much her simple gesture had meant to me. I sent handwritten notes to ten of my friends, along with a Starbucks gift card. And you know what? Each one of them thanked me and said how much it meant to them, a lot of them also saying how it arrived on a day that they really needed to hear it. My reaction of tears when I opened my card was the same reaction a lot of my friends said they had when they opened their card. It does not take much to make someone’s day. A little note to let your friends know that they are rockin’ this crazy mom life can really mean the world to them. 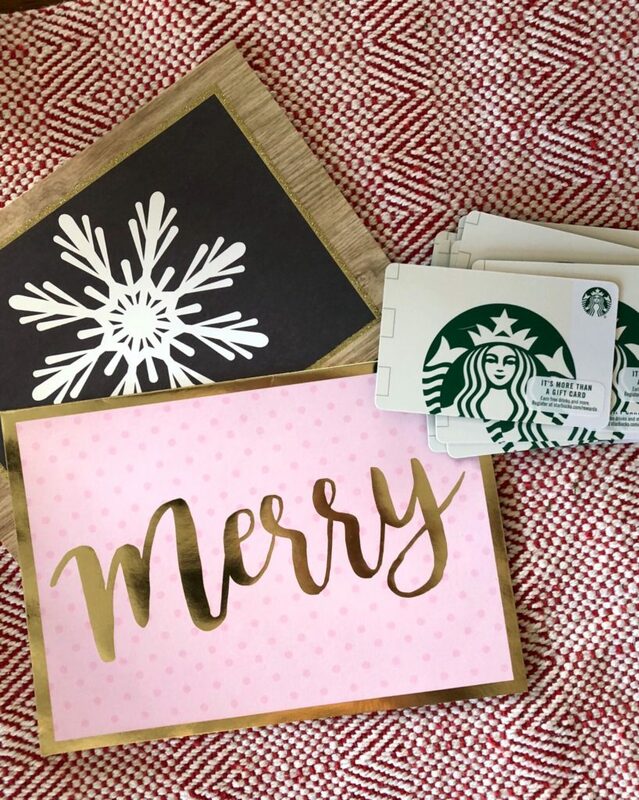 Adding a gift card to Starbucks or a local coffee shop or bakery so that they can treat themselves is a way to show them that they need to take a little time for themselves, too. If you have a favorite tea that you drink, include a packet of that in the card. Just the note itself is perfect, as well. We all need to hear that we are doing a great job, especially during the already-stressful holidays! p.s. Don’t stress if you don’t get around to making 12 different kinds of Christmas cookies. Sometimes store-bought cookies are better than homemade ones ? ?